Whether you want to check out the best country music venues in the nation, dig into fantastic gluten-free cuisine or wander through beautiful gardens, Nashville should be at the top of your travel wish list. After casually planning a trip for years, I finally had the chance to visit Music City and loved every minute of it. 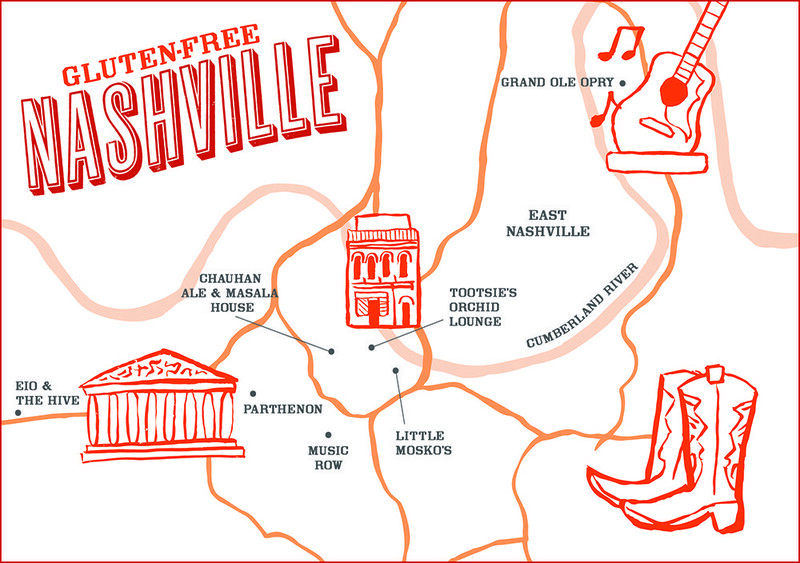 From the fun neighborhoods to the friendly locals to the eclectic food options, here’s why you’re going to love gluten-free Nashville, too. There’s nothing better than starting out with a big, satisfying breakfast that will keep you fueled for a day of adventures. In Nashville, there’s no question that the best place to kick things off is Little Mosko’s, a sandwich shop nestled in the refurbished warehouses that line the Rolling Mill Hill neighborhood. I fell for this place right away. Not only did absolutely everything on the menu—from tacos to breakfast sandwiches to grain bowls—sound like exactly what I wanted to eat for breakfast, but it’s also clear that the owners put a ton of love into this little breakfast and lunch joint. As I ogled the pastry case, I overheard co-owner Lauren Moskovitz helping both regulars and newbies order the perfect breakfast dish and frequently advising them to add bacon on top. Co-owner Alex Grainger is in charge of the savory items at Little Mosko’s, so I have him to thank for my delicious and surprisingly complex Avo Toast. It starts with housemade gluten-free toast that’s sliced about an inch thick, topped with a smashed avocado, a sunny-side-up egg, fresh herbs and pickled red onions. This is absolutely the most satisfying breakfast sandwich I’ve had anywhere. Moskovitz dreams up and executes the sweets here, and her handiwork has inspired me to make a return trip to Nashville just to eat more jam cookies. These are essentially ginger cookie sandwiches with creamy cheesecake and housemade jam in the center, and they’re just as indulgent as they sound. If you have as much of a sweet tooth as I do, you’ll want to plan daily trips to Little Mosko’s while you’re in Nashville. The baked goods rotate daily, though you’ll always find chocolate chunk cookies in the pastry case. The breakfast and lunch menus change weekly, so there’s always something new to tempt you. While Little Mosko’s isn’t completely gluten free, Lauren has celiac and takes great care to make this spot safe for her patrons with celiac. There’s a separate toaster for gluten-free bread and a separate prep area for gluten-free orders—and there’s no gluten-containing flour anywhere. To make your order gluten free, “GF yourself” for just $1. While you can and should enjoy the coffee at Little Mosko’s, I also recommend heading around the corner to Pinewood Social. This expansive spot has a little of everything, from coffee to cocktails, and from quiet corners to a raucous bowling alley. This is the kind of place where you could accidentally spend much of your day, since you can start by sipping an espresso drink, then bowl a round or two, cool off with a dip in the pool and finally try one of the hand-selected barrel cocktails. Before you let too much of the day slip away, though, be sure to explore downtown Nashville, especially if you’re a music lover. I had a fantastic time visiting the Johnny Cash Museum, where you can listen to classic tracks, get up close and personal with some of Cash’s costumes, and even learn a little about the Man in Black’s foray into the movie business. I also recommend watching the artists work at Hatch Show Print, the print shop that has produced Nashville’s eye-catching concert posters for more than 50 years. You can watch the printers turn out posters for upcoming performances and browse prints made for shows that have long gone down in Nashville history. If you’re a die-hard country music fan, book a behind-the-scenes tour of Ryman Auditorium, known as the Mother Church of country music, which hosted the Grand Ole Opry show for decades. A tour will give you a glimpse of the dressing rooms and some rare photos of the many legendary performers who have graced the stage over the years. Stick around for a show with greats like Sheryl Crow, Vince Gill or Dwight Yoakam. Or head to the east side of Nashville to see the current home of the Grand Ole Opry, which hosts dynamic country lineups most nights of the week. 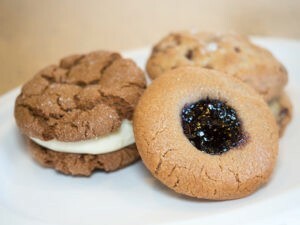 By now, you’re going to be ready for a bite to eat—no matter how many jam cookies you had at Little Mosko’s. For lunch, head west to Nashville’s Sylvan Park neighborhood. This booming area is home to tons of shiny new, locally owned businesses, but you’ll want to set your sights on EiO & the Hive. Even if you’ve been to your fair share of healthy dining spots, this one will blow you away. Since EiO stands for “Everything is organic,” you can rest assured that everything on the menu is grown with healthy, conscious cultivation practices. The seafood is sustainably farmed, and the EiO team knows all of its farmers and producers. And that’s not all. Led by Queen Bee Jennifer Masley, EiO & the Hive also oversees a 2-acre farm nearby, where the team grows herbs, greens and vegetables. So what can you expect to find here? First, you’ll notice that the gluten-free dishes on the menu are easy to find, as are vegan and lactose-free items. You’ll also spot plenty of nutritious veggies and grains, tons of superfoods, and healthy proteins like octopus and tempeh. 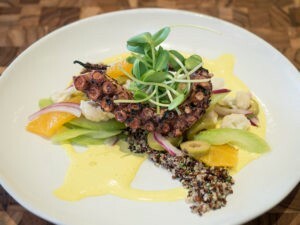 Chef Dale Levitski changes up the menu seasonally, so you might get to enjoy the incredibly flavorful grilled octopus with turmeric emulsion that I chowed down. Or you might get to sample the latest spring or summer specials. If you’re looking for an extra healthy kick, try the chef-driven broths or pick up a snack from the grab-and-go section. Next, it’s time to get out and explore Nashville’s beautiful outdoor spaces. EiO & the Hive is just a few minutes from Centennial Park, which should be on your itinerary. More than 100 years old, Centennial Park started the city park movement in Nashville. Today, it’s home to a walking trail, a sunken garden, several historical monuments and even a replica of the Parthenon, a remnant of the 1897 Tennessee Centennial Exposition. If you’re looking for even more natural beauty in Nashville, make your way a few minutes south to Belle Meade Plantation. This is a fascinating place to immerse yourself in Civil War history while touring the extensive grounds or wandering through the antebellum mansion. Visit in the spring to see the plantation’s beautiful gardens in full bloom. For even more history, the Bicentennial Capitol Mall State Park is also worth a visit. Located right in the heart of downtown Nashville, this small state park showcases Tennessee history, the state’s best natural attributes, and even a three-dimensional map of the Volunteer State. Once you’ve worked up an appetite, head to the Gulch. This funky neighborhood right around the corner from downtown Nashville is home to Chauhan Ale & Masala House, a creative Indian spot with ample southern flavor. The gluten-free Desi Bowls here beautifully show off Chauhan’s tasty, southern-meets-Indian flavors. This is the place to try Nashville’s signature dish, meat and three, with a twist. 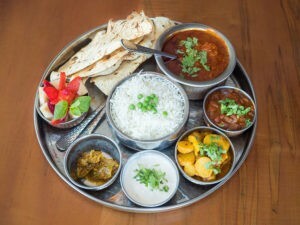 At Chauhan, the meat and three features an Indian-inspired protein, such as richly spiced beef vindaloo, with three veggie sides, including flavorful aloo masala and creamy rajma dal. Since Chauhan’s combos change daily, be sure to confirm that it’s gluten free before ordering. At this point, you’ll be ready to catch some live music. If you don’t already have tickets for a show at the Grand Ole Opry or Ryman Auditorium, make a beeline for Lower Broadway, or the Honky-Tonk Highway. 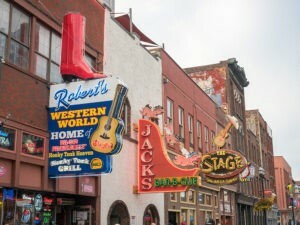 This four-block area of downtown is packed with shoulder-to-shoulder live music joints, and many of these honky-tonks have been entertaining music fans for decades. There’s no need for tickets on Lower Broadway, and you don’t have to pay cover charges to enjoy the music, either. In fact, you might not even have to go inside, because most venues open up to the street so you can hear the music loud and clear. Since most venues in the area have more than one stage and many feature rooftop bars, pick out a few top choices to check out. If you want to visit one of the most legendary honky-tonks on Lower Broadway, go to Tootsie’s Orchid Lounge. This Nashville classic has three floors of music and a great rooftop bar where you can take in the city skyline and all the action on Lower Broadway. Don’t miss other local favorites, like Robert’s Western World, which was once a Western wear and boot store, and Acme Feed & Seed, a modern venue with a gastropub feel and music that appeals to a variety of tastes. Whether you want to tune into the country music scene, dig into delicious gluten-free comfort food or peek back into Tennessee history, Nashville is the ideal destination. I can’t wait to return to Music City to explore even more. Travel Editor Anna Sonnenberg is a food and travel writer who has journeyed around the world gluten free since being diagnosed with celiac in 2012.